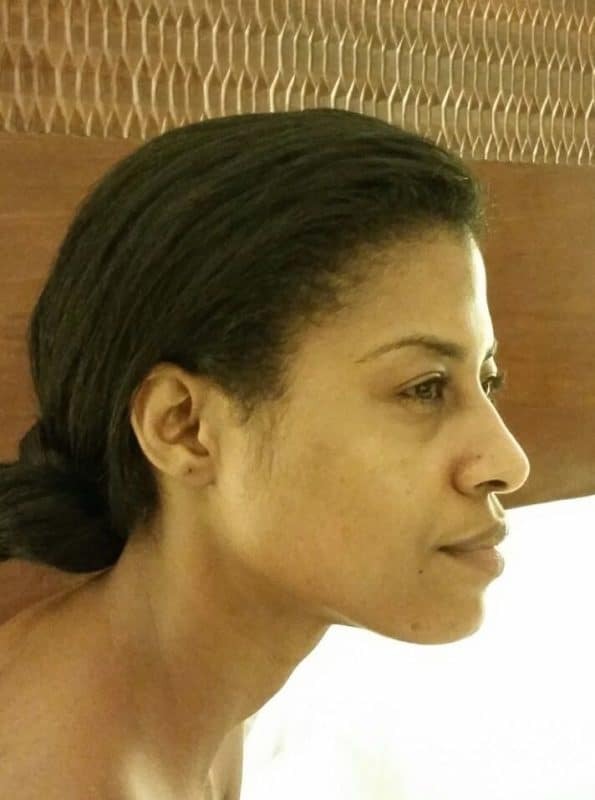 It is essential to have a skin/hair care regimen in place to keep your skin and hair looking healthy, but I have to admit, it is difficult for me to follow on a daily basis. That’s why I prefer combined products which are simple and easy to use. 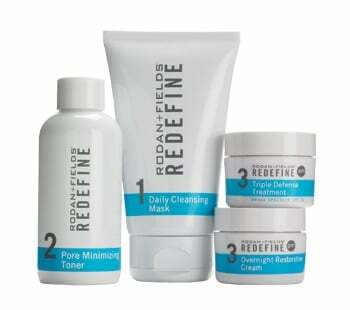 Lucky for me, I was introduced by Ifabbo to the Redefine and Acute Care regimen by Rodan + Fields. STEP 1. 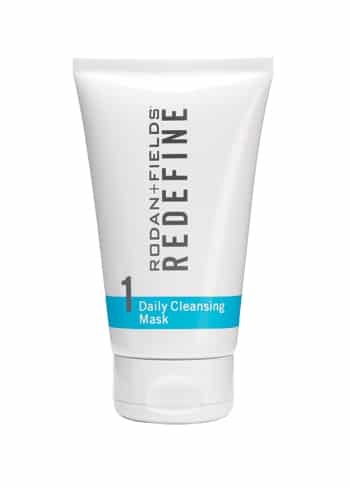 The Daily Cleansing Mask ($41, 4.2 oz.) is a creamy, white, clay-based cleanser which function, as an exfoliator as well. I love this cleanser, it dries in about 2 minutes then rinse off with a non-foaming formula and microbeads that leaves my face very smooth, and it does not dry my skin. STEP 2. 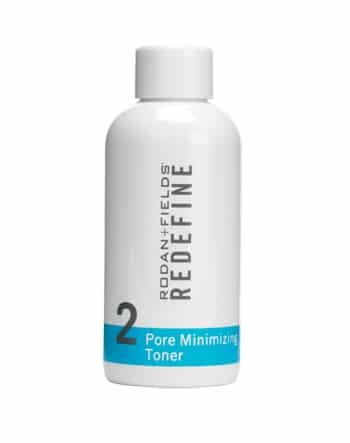 The Pore Minimizing Toner ($47, 4.2 oz.) is an alcohol-free toner. It helps reduce the appearance of pores and prepares the skin for the treatments that follow. I usually use Apple Cider Vinegar as a toner, but it does dry my skin a little. The Redefine toner is very gentle on my skin, and it does not dry it. STEP 3. 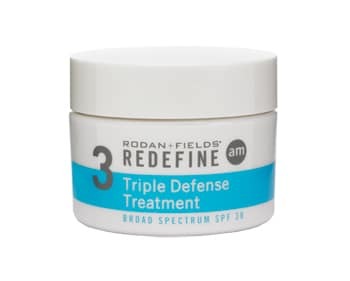 The Triple Defense Triple Broad Spectrum SPF 30 ($80, 1 oz.) is a moisturizer that contains a clinically proven concentration of powerful peptides to reduce the appearance of lines and wrinkles and visibly firm skin. It is non-greasy, and it functions as moisturizer and sunblock (I love combined products). I can wear it under makeup well, but I did notice I had to pad my face more often due to shine. STEP 4. 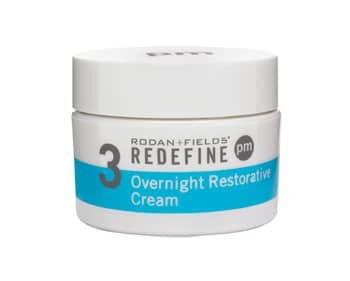 The Overnight Restorative Cream ($73, 1 oz.) is an ultra-hydrating cream which replenishes skin’s natural moisturizing factors (NMFs) while you sleep for visibly firmer, less-lined skin in the morning. I like a thick cream for night use. After the first night, I noticed my skin looked brighter and hydrated in the morning. I was afraid to use night creams because I had a bad experience with products before causing me pimples, but it did not happen with this one :-). 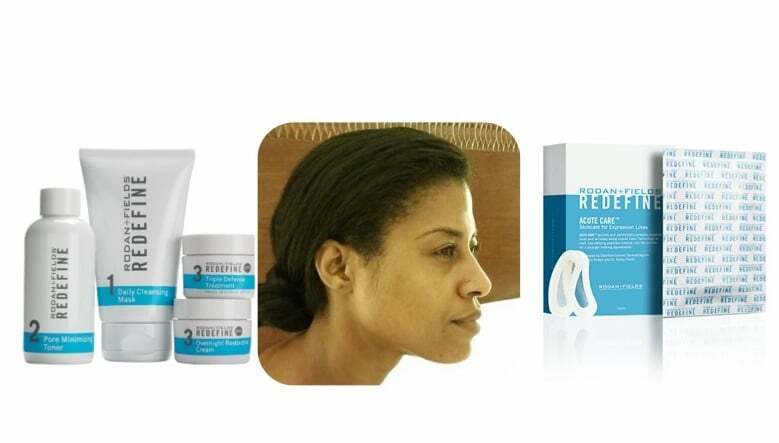 Overall, my favorite products from the Regimen are the Daily Cleansing Mask and the Overnight Restorative Cream; I would purchase it with no doubts. You can get all four products for $193. After two weeks my skin looks brighter and firmer. 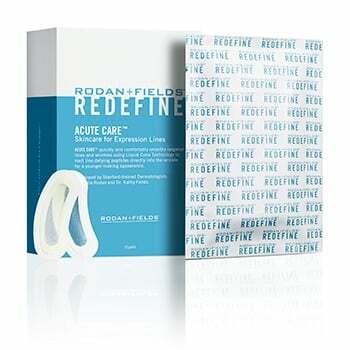 Another well-known product By Rodan + Fields is the Acute Care For Expression Lines ($220, ten pairs). It smooths expression lines with proprietary Liquid Cone Technology that melts line-defying peptides and hyaluronic acid directly into the wrinkle for a more youthful appearance. The first time I tried it, I did not like the feeling of having stickies in my eyes, but I did notice a change in my appearance around my eyes the following morning. The second time I carefully applied the product avoiding the corners and I could tolerate it better. The results are immediate after your first usage and it is recommended to apply the strips every 3 nights. 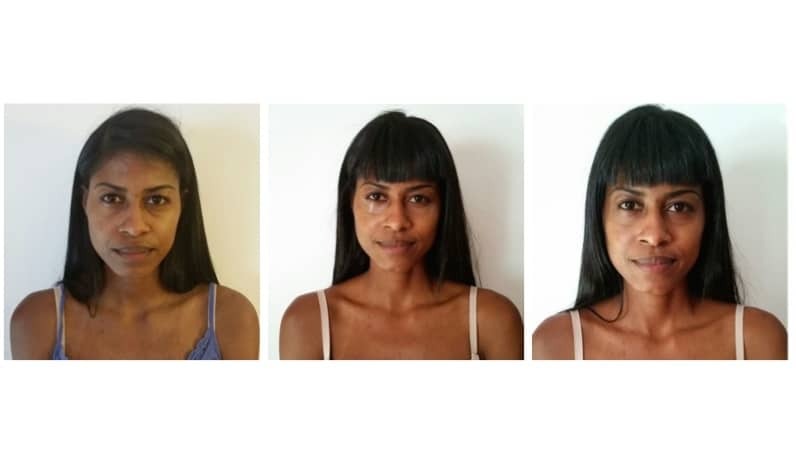 I used the product about 5 times and I noticed an improvement around the eyes (for long-term results after 10 applications) but I do prefer to use creams instead of strips. The Redefine and Acute Care Regimen are great options for people like me who like simple and easy steps products with quick results. 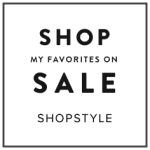 For more information about skincare products, visit www.rodanandfields.com.